Super stylish apartment with stunning views of the city. 2 balconies. The apartment contains everything you need. Modern construction. Room for 2 people. of new and old buildings. This means that there is a lot of fun cafes, bars, restaurants, take-aways and shops. Bryggen Beach Park is a popular place in the summer with lots of sun bathing people. If you pass Langebro you will get right into the center of town where Tivoli, the Glyptotek, Town Hall Square and Strøget is to find within walking distance. A perfect location for both leisure and contemplation. 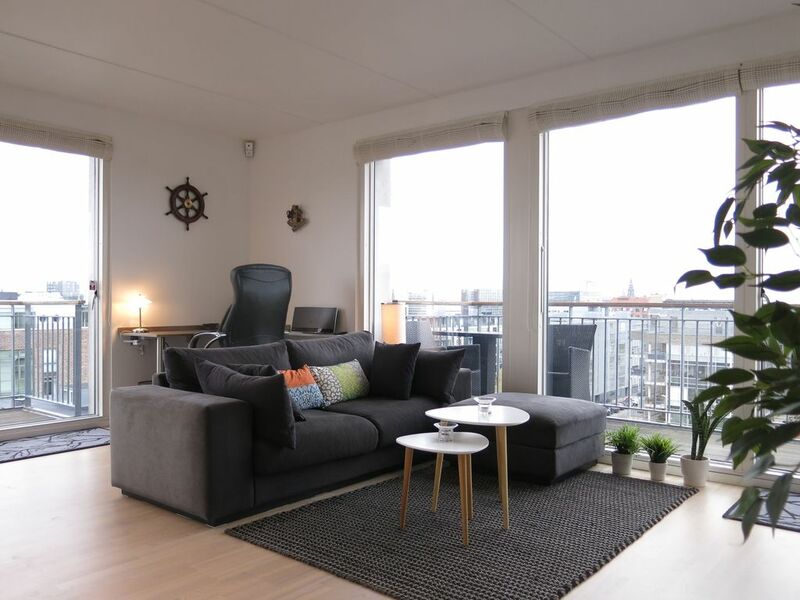 Very lovely handicap friendly apartment in a new building on Islands Brygge. The apartment consists of: hall, combined living / dining room, combined toilet / bathroom with shower. There is access to 2 balconies - one with morning sun and one with evening sun. Wifi, 3D TV with international channels, DVD, Blueray, dishwasher, combined washer / dryer. 2 single beds of 90 x 200 cm combined to a double bed. The apartment was immaculately clean and very quiet. Simple attractive decor. Well equipped with appliances and instruction books. Comfortable bed. Nice view. A small market is half a block away and a metro stop is about a 10 minute walk. Mostly we hiked into the city center. The only downside to the apartment is that there aren’t nearby shops, bars or restaurants. Rental office staff were friendly and helpful. The apartment was exactly as advertised. It was bright, modern and clean. When we arrived, the key handler really did not know much about the area. He also did not speak Danish so he could not translate certain information that we needed. We were told that there was a bus nearby and that we could buy a bus card at the 7 eleven. The bus was a good 20 minute walk and we had to purchase the bus card at a tobacco store. There is also a metro but it is just as far away. There is a supermarket around the corner, but there are really no restaurants close to the apartment. We are fine with walking, but after walking around the city for a day, the walk from the public transportation was a bit much. This apartment would probably work better for someone with an automobile. We enjoyed our stay but would have preferred an apartment closer to downtown. The property is in a good location for the city. Lovely modern property, very clean and tidy. Everything you would need for a good city break. One little downside the apartment was very warm as their was no instructions on how to turn the heating down. Overall a great short break and a lovely apartment. Very pleased with this property. Great location, well appointed, clean, well managed.